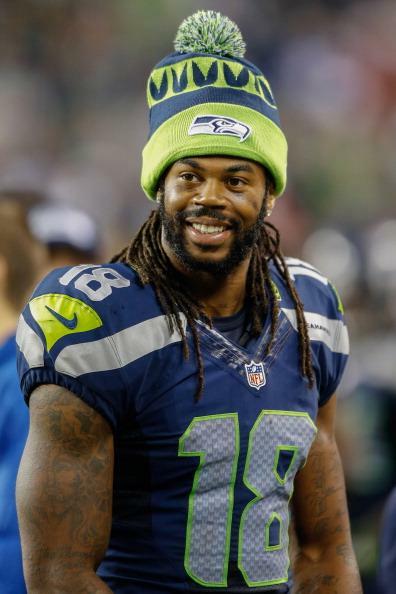 * NFL Injury news – Oct 29, 2013, it was announced that Seattle Seahawks WR Sidney Rice is out for the season due to a torn ACL. 1) They just don’t make anterior cruciate ligaments like they used to. 2) There are about 10 excellent quarterbacks in the NFL. Below that are about 5 very good QB’s. Below that is some downright scary stuff. 3) Brandon Meriweather made a valid point, despite his extremely poor choice of words. 4) Calvin Johnson proved again, that he is a bad dude. Little wonder as to why Dez Bryant is jealous of him. 5) The Jacksonville Jaguars are a disgrace to American professional sports. 6) Gary Kubiak’s future with the Houston Texans, is dependent on the performance of Case Keenum. 7) The Dallas Cowboys deserve an award for most over-analyzed .500 team in the last 50 years of sports. Not just the NFL, but ALL sports. 8) The Kansas City Chiefs are headed for playoff disaster. 9) Those televised Trade deadline specials are a tremendously tedious awkward waste of airtime. Highlights from the last three trade deadline days; Carson Palmer (2011), Aqib Talib (2012), Isaac Sopoaga (2013). Decent players, but all in all, not enough to justify a TV special lasting several hours, complete with a countdown clock and multiple analysts desperately trying to fill the overabundance of airtime. 10) I no longer believe in Geno Smith as a QB, or the New York Jets as a team . . . I think. This entry was posted in NFL, Uncategorized and tagged american football, case keenum, dallas cowboys, denver broncos, Inside Sports, nfl suspension, seattle seahawks. Bookmark the permalink.